I've been working in the restaurant industry for 13 years. I've been working in the restaurant industry for 13 years. What started out as just a weekend job in high school as a way of earning extra money, led to the steady income I have to put myself through college. This type of work is tough to do and exhausting, but there is one thing every server will agree is the toughest part of the job: working for free. When I say work for free, I'm talking about a group of guests that don't tip after their dining experience. What a lot of people don't realize is servers rely on the generosity of guests for their sole income. Servers are paid $2.13 an hour, and when a guest decides not to tip, be if they don't know how much to leave or they decided the service was mediocre, it is basically being ordered around and receiving no compensation for it. What a lot of people fail to realize is servers are left with a limited section and typically are left with three to five tables. So, in a hypothetical scenario, if I had four tables and three decided to not leave a tip, I would have to rely on of one table within an hour of my time to make any type of money. Nothing is more demeaning than being ordered around during a long shift and getting nothing for it. Another huge factor that people fail to see, does not only do guests tip depending on how much the check is. That same check is tipped out to my support staff. So, if your check is 100 dollars and I did not receive a tip, and my average tip out is three percent, that is three dollars out of my pocket to ensure the dining experience was enjoyable. I am PAYING for guests to eat out of my own personal money that I work incredibly hard for. According to the department of labor, a minimum amount of tips is required for servers. Basically, they assume that guests will tip the correct amount so the employer will not have to match the minimum wage depending on the state. The government assumes you'll just tip the amount you're supposed to, which should be a minimum of fifteen percent. For a server that has done a job well done, should get a twenty percent tip. If percents aren't your thing, just take a look at the first number of your check and double it. So, if your bill is $40, you should leave $8 as a tip. However, if your check is $45, you should round up to the nearest tenth and leave $10. This really isn't a complicated system. So, if you're out with a friend that doesn't want to tip or you just haven't been big on it yourself just remember two things; we are here to help, however, we don't work for free much like everyone else on the planet and second, your tip is our income. Without a decent tip, we don't have an income. Seriously, just do it! What if, instead of viewing your cocktail as a drink to get your buzz going, you viewed it as a purposefully orchestrated creation? You walk into the new bar that everyone is raving about, but nothing seems to strike you as impressive until you take a seat at the garnish speckled countertop. Before you get a chance to scan the happy hour menu, the well-dressed man on the other side of the bar asks you what flavor profile you're looking for. You stutter out an answer, and the man retrieves what seems like 15 different ingredients and begins to measure, shake, stir and pour at an impressive speed. He produced the best drink you've ever had. You're hooked. The skill of crafting alcoholic drinks that was formerly known as bartending is taking on a new form known as mixology among the contemporary bar scene. 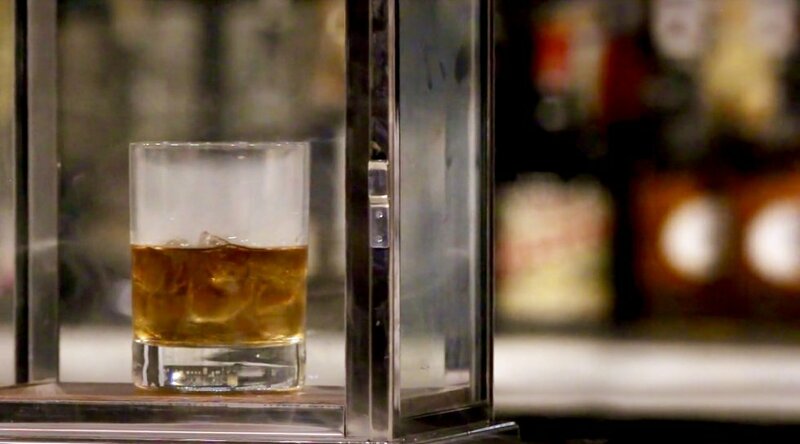 Mixology is known as "the study of the chemistry of drinks," and the tastes of the new creations are noticeably different from typical drink recipes. Self-taught Mixologist Tyler Zhorne began his crafting career as a brewer which enabled him to find greater success in the art of experimenting with different flavor profiles. Zhorne says that making drinks is more than just a job that he loves. "It's kind of another way for you to put your own personality out there. I'm more of an introvert, but my cocktails will help someone understand who I am," Zhorne explains. 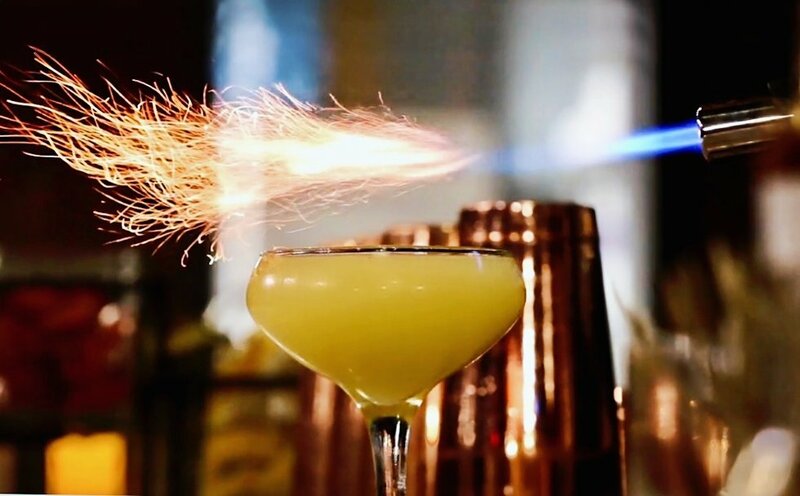 Similar to an artist carefully painting their next piece, mixologists use techniques of imagination and innovation to craft a concoction that wows their customers almost every time. In Arizona, bars like Bitter & Twisted located in Downtown Phoenix, The White Rabbit in Gilbert, and The Ostrich in Chandler are changing the original method of bartending by encouraging crafters to create their own reimagined variations of commonly known cocktails.